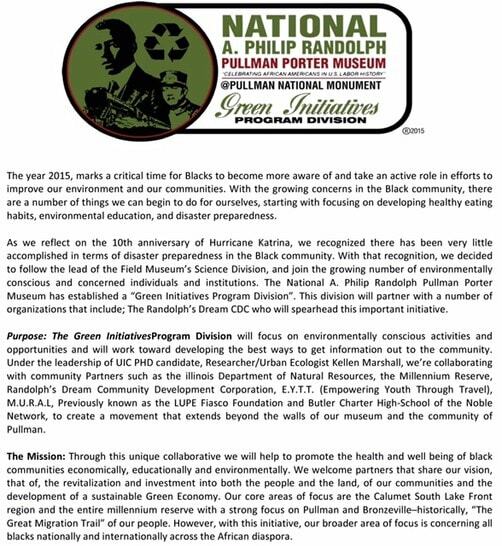 Following the lead of the Field Museum, and the growing number of environmentally conscious and concerned individuals, the National A. Philip Randolph Pullman Porter Museum has established the Green Initiative Program Division. 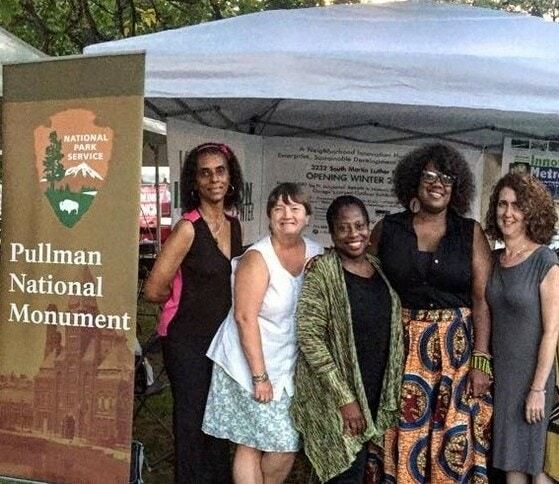 The program launched at the 2015 African Festival Of The Arts September 5, 2015 Washington Park, Chicago in collaboration with Blacks and Green (BIG) The Chicago Park District, the National Park Service and the Millennium Reserve. Photo taken at the Green Village Pavilion.